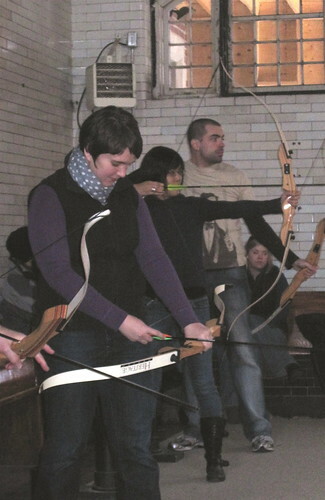 I heard that Casa Loma (Toronto's "castle") was offering half-day beginner archery lessons. Of course, I signed up! I tried archery years ago. It was definitely fun and challenging, plus I wasn't too bad at it. Later, when I decided to take up a new sport at University of Toronto, I was choosing between the Kendo club and the archery club. I went with Kendo because it involved actual exercise. Also, the archery range at U of T was infested with cockroaches. 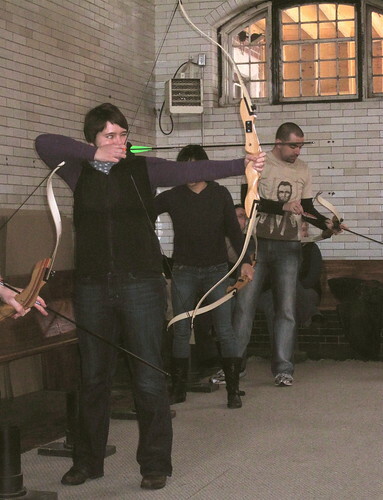 The archery lesson was in the stables of Casa Loma. The bows we learned to use were Olympic style. We shot at 40cm targets, but only from a distance of about 12m. This was a makeshift indoor range, after all. 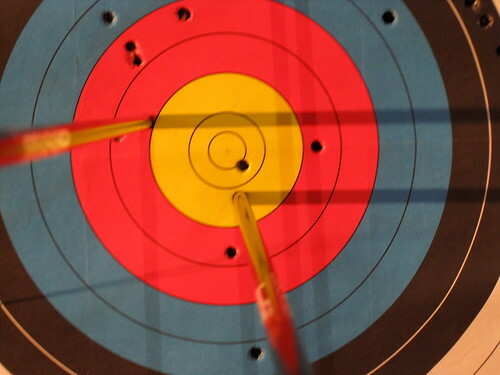 Again, I found that I'm decent shot and I was able to get some arrows close to the centre of the target before my arm and shoulder got too sore. I'd love to try it again soon!